4 years ago (according to Timehop – I bloody love Timehop!) 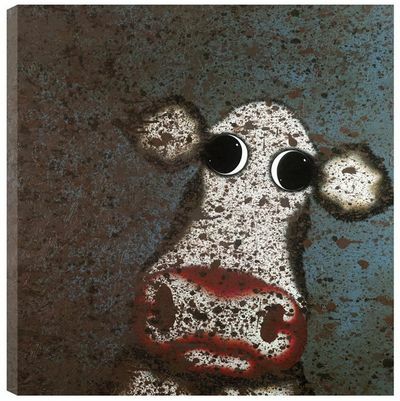 we bought our first Caroline Shotton painting entitled ‘Sh*t happens’! The big kids were 5 and 7 at the time, thought the title of the painting was HILARIOUS and no doubt repeated it at completely inappropriate times! 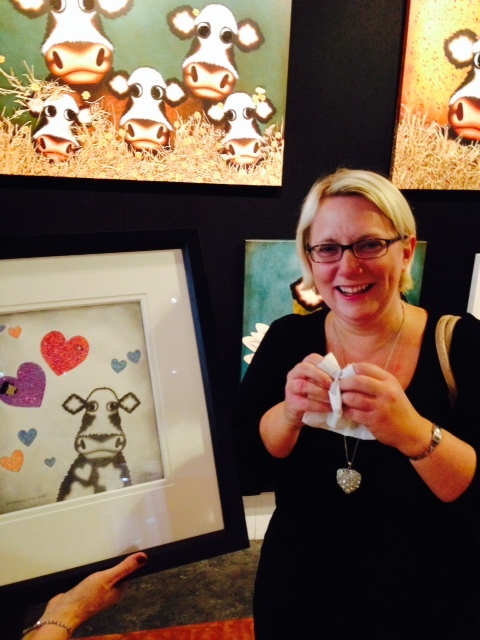 Since then we’ve bought a few lot of her other pieces – lovingly called ‘cow pictures’ by the little ones. 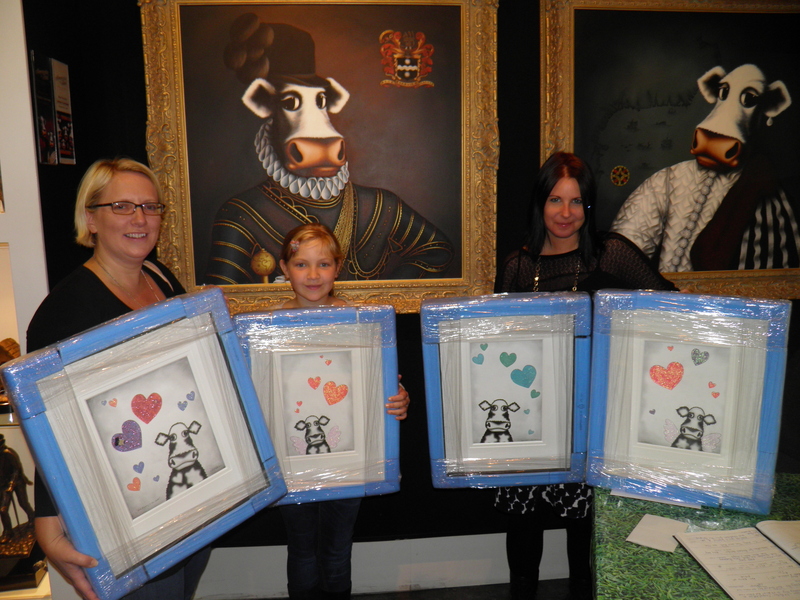 I found out that Caroline was doing a personal appearance at Castle Galleries in Solihull last month, and the eldest and I found that one of her paintings ‘Best Dad’ was for sale. Husband’s birthday is October – so we thought it would be the PERFECT present! All was going well, I’d plotted with the lovely Carole from the gallery and I’d paid for the painting, designed a perfect dedication, and then was going to sneak back and pick the painting up after the event so he was none the wiser. 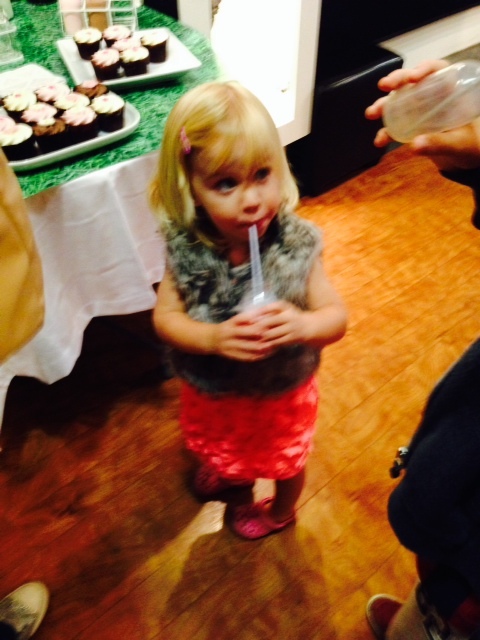 All was going well when we arrived at the gallery – and the kids enjoyed milkshakes and cupcakes….. 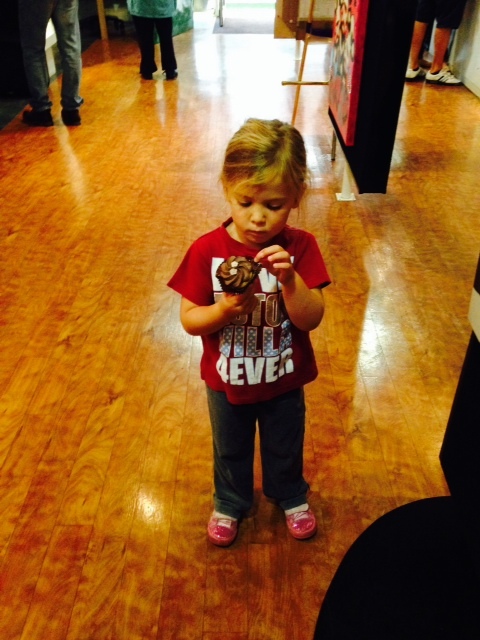 So cake, milkshake, champagne, a lovely artist and our favourite gallery made for a fabulous (if slightly expensive!) afternoon.